"Strategy, tactics and mechanisms risk management abuse, fraud and corruption"
The financial calamities in Europe and around the world continue unabated. The Eurozone struggles for survival and economic crime continues to rise. In this 13th year of the International Congress in Cracow we have stretched the boundaries in the search for professionalism, protection, competence and superiority in internal control, internal auditing, risk management, corporate governance and compliance, anti-fraud and anti-corruption techniques. The Congress is a fortification of knowledge and experience in critical activities of our areas of interest and is a ‘must attend’ event for Polish and international professionals involved with these issues. Speakers from Poland and other countries, who are recognised experts in their field, will share their experiences and knowledge. The presentations will be translated simultaneously in English and Polish. • Professionals with international organisations such as; IIA, ACFE, ISACA, ACCA, TheIIC, e.g. : CIA’s, CFE’s, CISA’s, CICA’s, CCS’, etc. Note: Special rates can be negotiated for Public Sector Employees and Individuals in difficult circumstances i.e. students, unemployed, low income, etc. The attendance fee includes: All Congress materials, lunches and refreshments, the cocktail reception and Gala Dinner (with Polish folklore show, music and dancing), but excludes overnight accommodation. The organizers will be pleased to assist with hotel bookings and a sight-seeing programme will also be arranged (e.g. for accompanying persons). Cracow is an historical city (former capital of the Kingdom of Poland) as well as being the town most associated with the late Pope John Paul II. Optional visits to Auschwitz Concentration camp and the famous Wieliczka salt mines can be arranged. Important Note:A final list of Sponsors will be available in the Polish language brochure and in Congress material available to Delegates and in the post-Congress report and publications. In view of the emerging Internet of false information on the Congress (including those of its organizer), hereby declare and announce that the Congress since its inception (ie from 2002 onwards) was organized by the Polish Institute of Internal Control and Audit Sp. z o.o., based in Warsaw. Only the Polish Institute of Internal Control and Audit Sp. z o.o. ( PIKW ) with its seat in Warsaw has the right to the organization of the Congress ( this Congress). We emphasize that all information relating to Congress published by other than the Polish Institute of Internal Control and Audit Sp. z o.o. 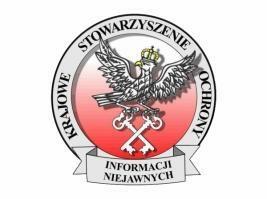 with its seat in Warsaw entities (individuals, legal persons or entities without legal personality) is not a reliable source of information on this subject and may mislead the public.